This is my first exercise using the One drawing a day. 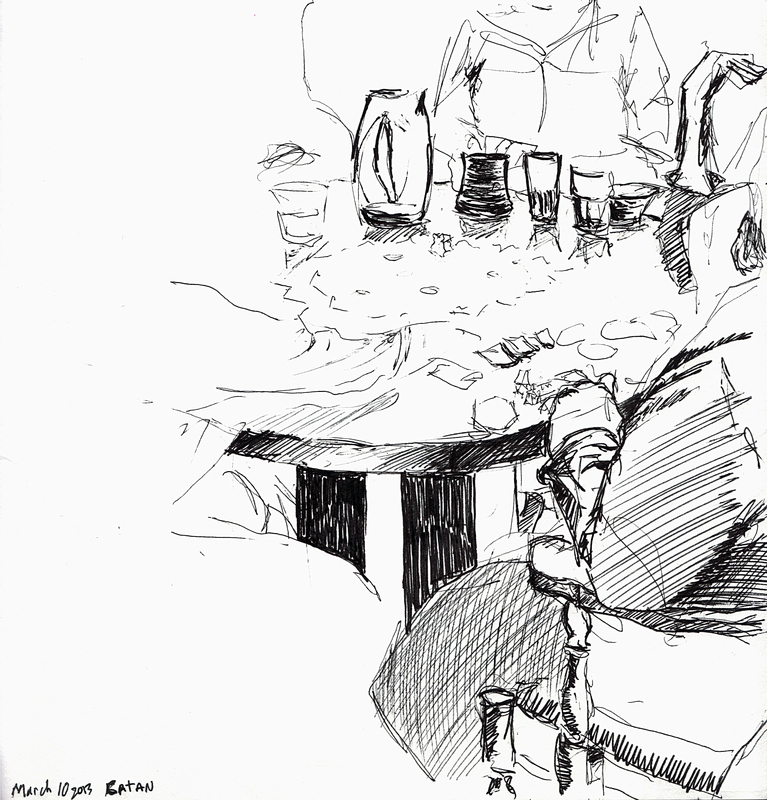 Drawing 1 (Hot tub) – This is an exploration in sketching and using a pen. Near completion a drip of water fell down from the ceiling and made the ink run down the page. I felt the water and the pen made a nice watercolor effect. I started using the water collecting on the glass table next to me and this is what happened. I believe these exercises are meant to get me drawing and thinking art. And are not too particular about following the rules. The two most important things are, I had drew and had fun. Drawing 2 (Unfinished Catan) – My family play an excessive about of Settlers of Catan and since I lack the enthusiasm for the game I decided to watch and draw. I do feel I was focusing to much on the details and less on the freeing on my hand and eyes. I need to allow myself to let go and lose myself in the drawing itself. The first few exercises have mentioned just this in their explanation, I better start listening. 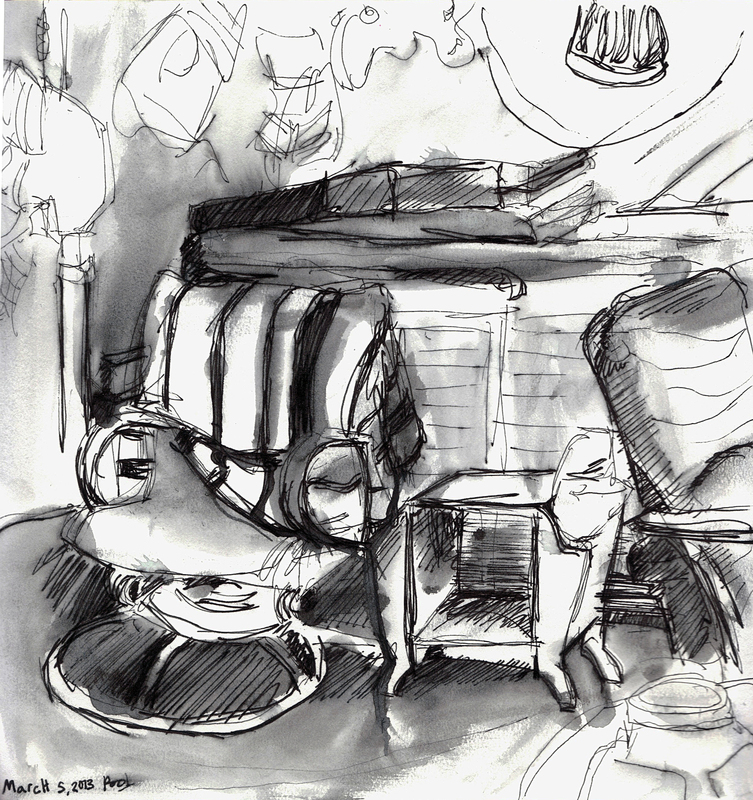 This entry was posted in My Work, One Drawing a Day and tagged Art, catan, drawing book, hot tub, My Work, One Drawing a Day, Pen, settlers of catan, sketch book, sketching, watercolor. Bookmark the permalink.